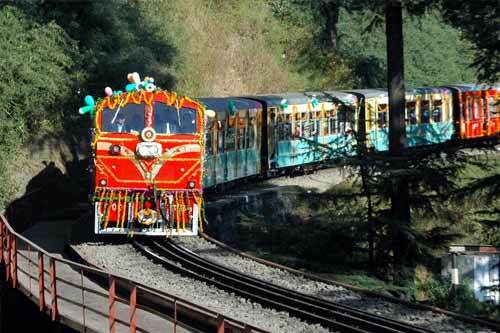 Darjeeling Himalayan Railway Tours, Darjeeling Toy Train Tour Packages . 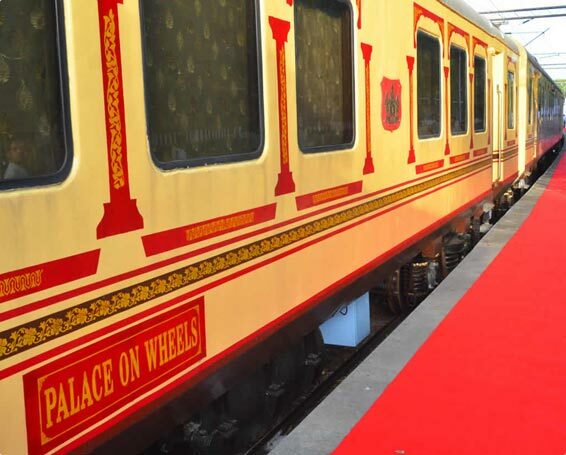 If you want to romance the mesmerizing scenery of the mountains and their breathtaking beauty, then a journey on the Darjeeling Himalayan Railway is meant only for you. 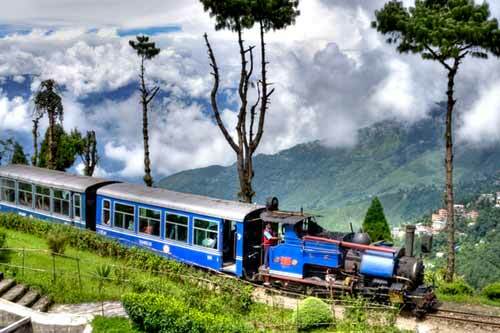 Running on a narrow gauge, this train is fondly called the toy train not just because of its small size, but for its dream-like foray into the depths of Eastern Himalayas or particularly in Darjeeling. 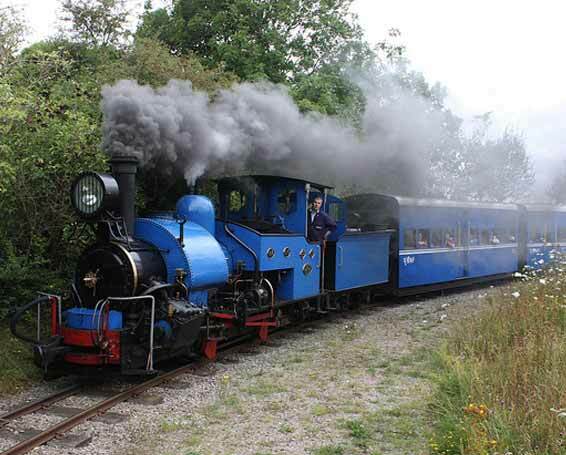 Since 1880, this steam engine based hill train is operational and successfully rolling through the loops, roadside and railway stations. 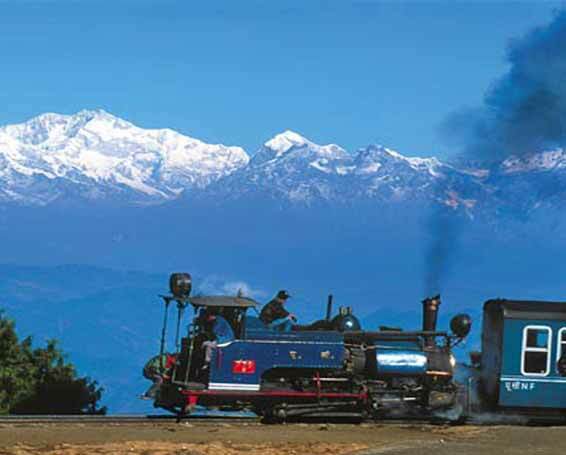 In its 132 years of glory, Darjeeling Himalayan Railway has become the perfect way of romancing this refreshing hill station. 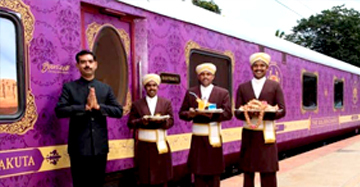 A vision of Franklin Preston, an East India official, this train was and still is the excellent example of hill passenger railway. It’s ingenious engineering solutions and bold vision was ahead of the times. 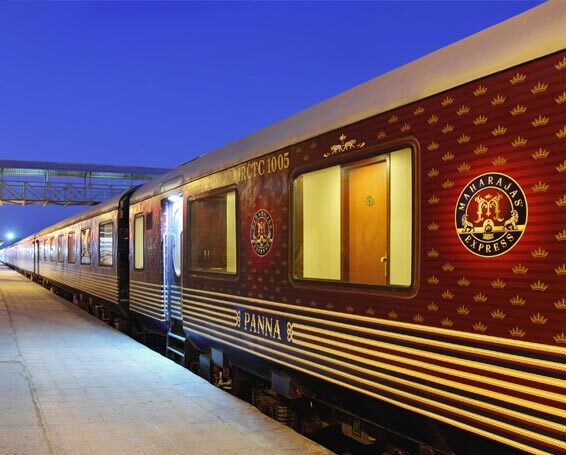 It was one of the premier trains which established the effective rail connectivity across mesmerizing mountainous landscape. Rolling between New Jalpaiguri and Darjeeling, a journey through such a wonderful passage is counted one of the most mesmerizing experiences of a lifetime. Gazing at the enchanting beauty of narrow trail sweeps the spectator off their feet. In fact, the whole 83 km stretch of this narrow hill track covered in around 8 hours is completely incredible. 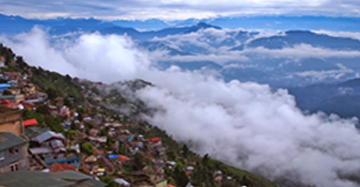 The train starts climbing up from Sukna and covers Chunabati, Rungtong, Tindharia, Agony Point, Kurseong, Batasia Loop and Ghoom Monastery before entering the land of refreshing brews – Darjeeling. 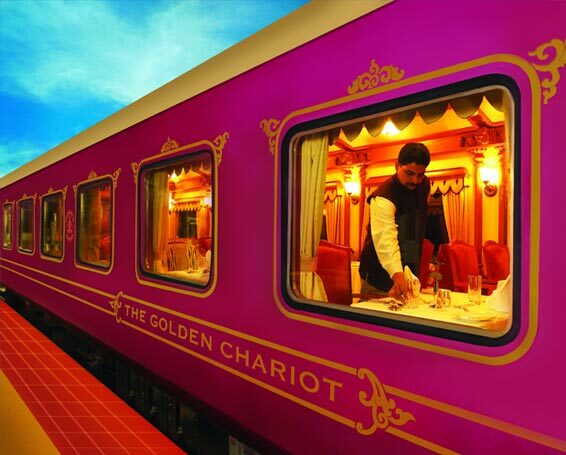 The changing landscape observed from the train include markets adjacent to the train, free flowing Teesta River, delightful green tea gardens and the colourful flower bearing plants. 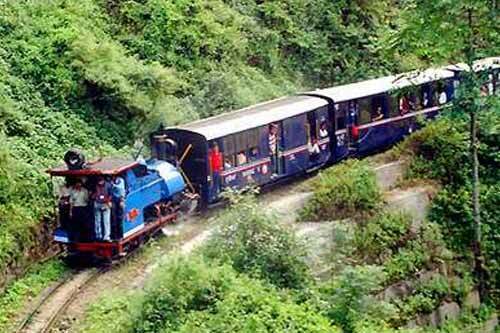 The first train of Darjeeling Toy train was much more different from what it is today. It was a small four wheeled trolley with two wooden benches. The 26 feet long bogey was added much later. 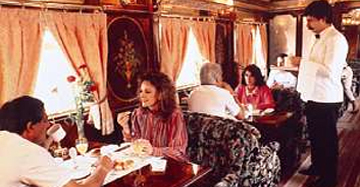 Earlier, it was not only used as transporting passengers, but also the freight to isolated hill towns. 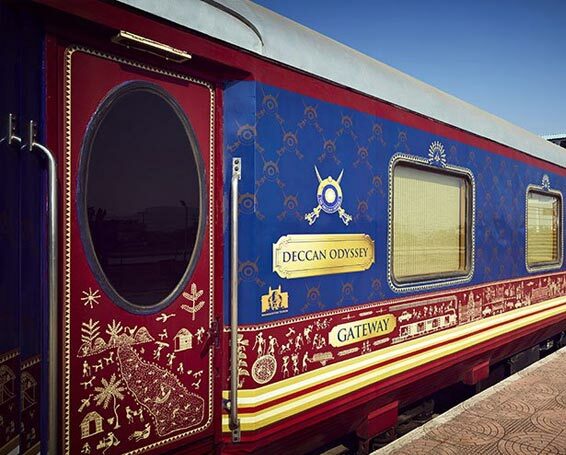 As the time passed, the train became completely a passenger train. 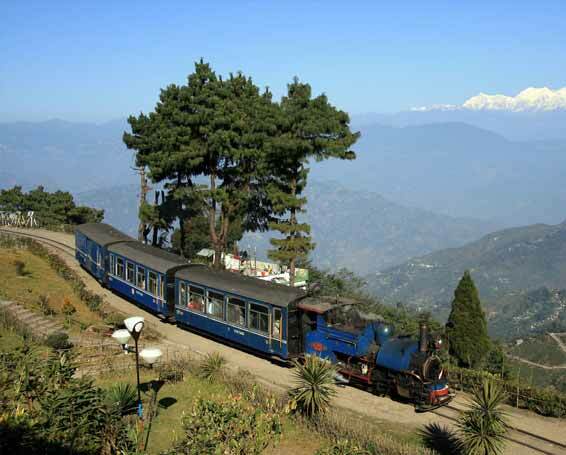 Today, the Darjeeling Toy Train is the best way to soak the scenic pleasures of the mountainous landscape 7000 feet above the ground level. 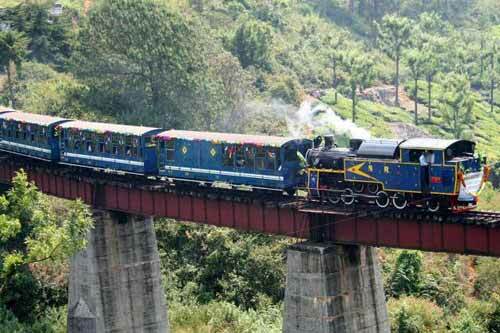 This is the reason why this gorgeous Darjeeling Toy train and its enchanting terrain are recognized as world heritage site under mountain railways of India.